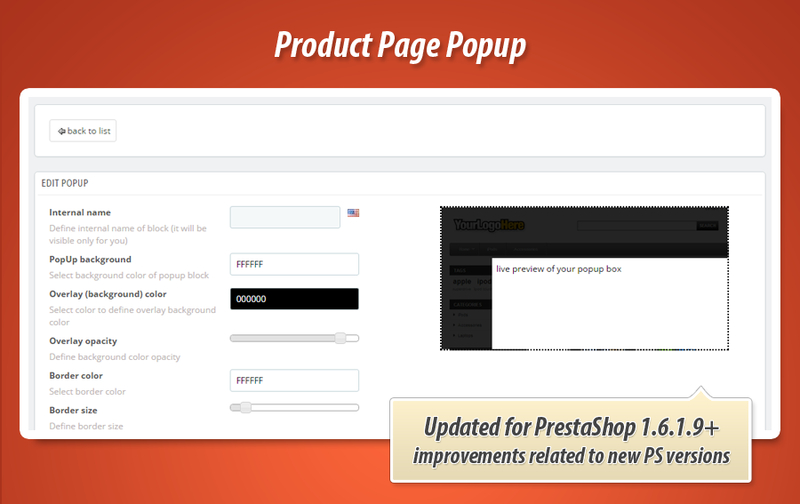 Modal popup window for product pages - this prestashop module is for you if you want to display popup box on selected product page. You can create as many boxes as you want. You can also define boxes for many products. 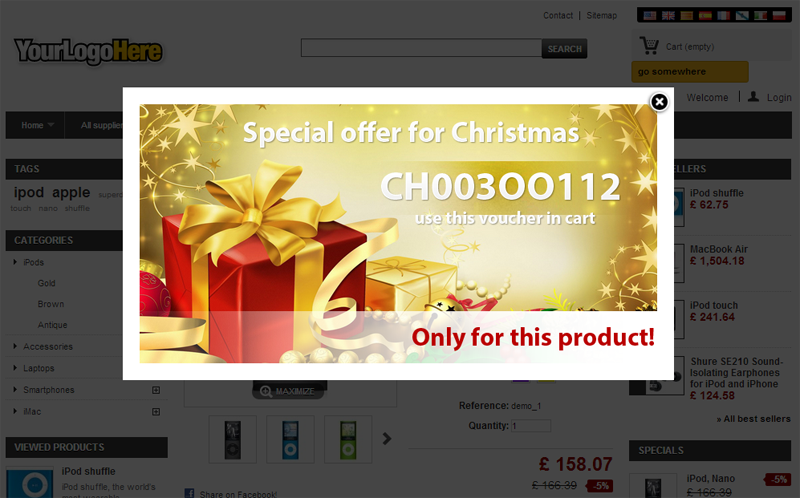 Popup box will appear only for products for which you defined modal window. 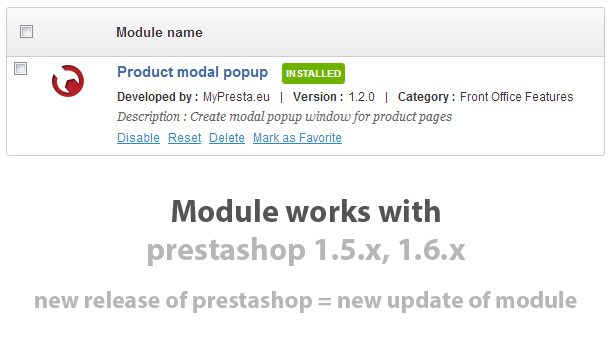 This prestashop module allows you to create modal popup windows on products pages. In these windows you can use any content you want - important notifications, information about promotions related to product etc. With feature like that all informations that you want to convey will be visible. A lot of configuration parameters allow you to create various designs of modal window. Red more information about module below the box. Main feature (and most important) of this prestashop addon is possibility to create modal popup block for any product page you want. Modal window will appear only for products for which you create popup. 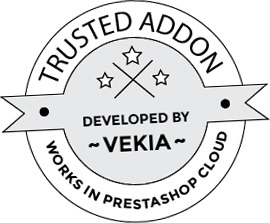 Many additional features allows you to create exact design and contents. Read about them below. You as shop owner and adminisratro have got possibility to create as many modal boxes as you want. You can create popup for any product you want too. There is no limitation related to number of popups for each product. No limit = no worries. In addition module has got nice feature (from v.1.2.4) to create buttons on product description fields (or in theme template). When you click on those buttons - you can turn on popup with contents you defined like sizes chart etc. it just means unlimited buttons with popup! Ability to define "internal" popup name, which will allow for easy distinction created windows while management module in the admin panel. This functionality also allows the use of multiple languages ​​in defining the name of the window. You can turn on "test mode" - use this option while you creating popup window. Option allows to display popups without page refreshing. You can reconfigure popups that you created before. You have to click on edit button only. Then you will see page where you can edit modal popup specification(click to open picture). Moreover - popups management page allows you to activate / deactivate popups. With one mouse click you can turn on or turn off unwanted popups. Module from version 2.2.1.1 is responsive and allows to define different contents for each device type!